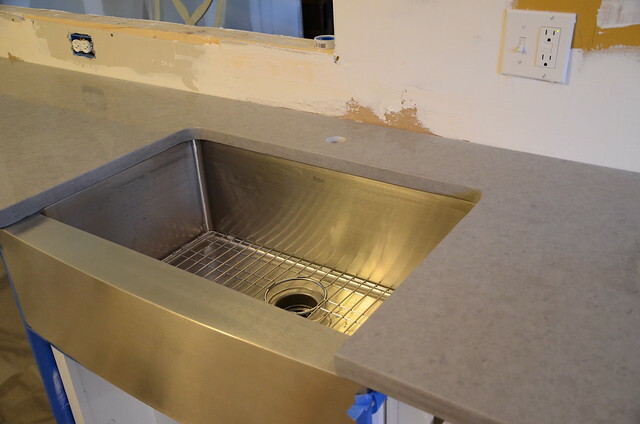 The countertops were installed today. 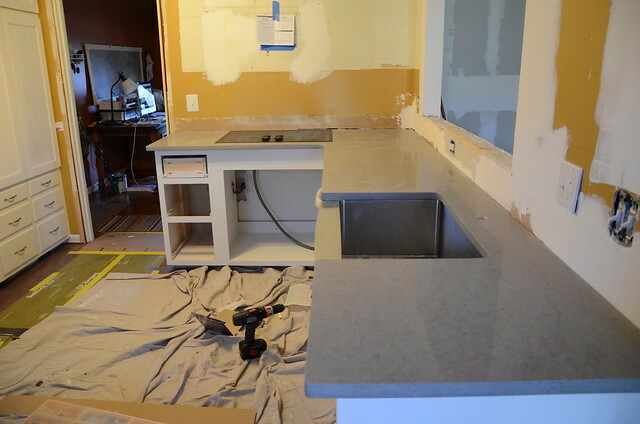 In case you missed it, we chose Caesarstone in Pebble. I was so nervous that something was going to go wrong or that they would not turn out the way I envisioned them, but they are perfect. We have to wait 24 hours before the faucet can be hooked up so I still don't have a sink or dishwasher, but at least I have countertops!! There is way too much gray and silver in the room so we are definitely going to have to pick a different wall color. I am thinking robin's egg blue. I am still trying to convince Mitch. What do you think? I keep walking into the kitchen so that I can stare at my countertops. 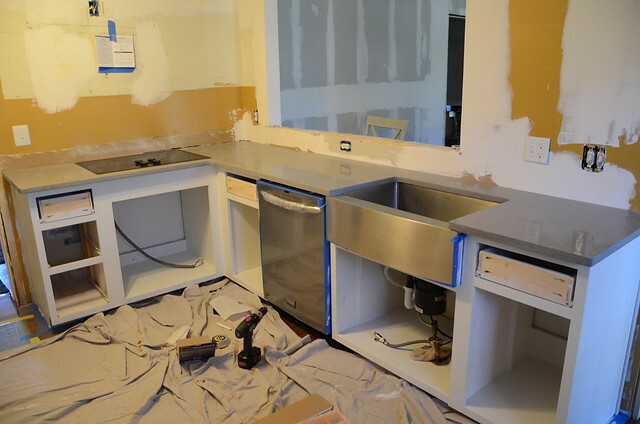 We are one step closer to a functioning kitchen. OH yeah, things are really starting to look good. Love the countertops - Quartz? I'm not a fan of blue (personally) but it may be a good fit for the grey and white. 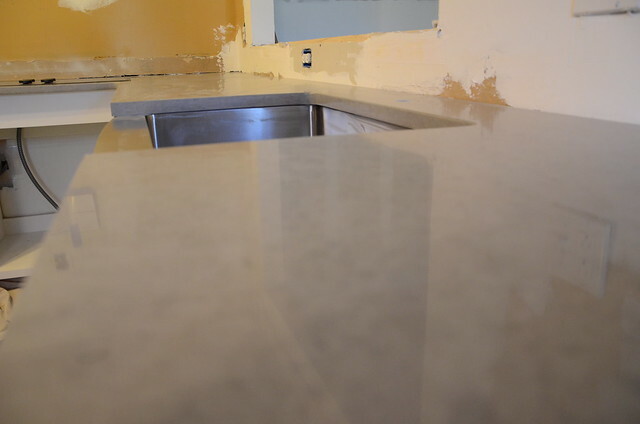 I think we chose the same countertop material and even the same color! I would kill for a big, deep sink like yours! Excellent work done, this website is actually cool with good information.